Welcome to kenkoway.com (“Kenkoway”, the “Site”). The Site is provided as a service to you subject to the notices, terms, and conditions set forth in this agreement (the “Agreement”). Please review the following terms and conditions of use, which govern your use of the Site. Your use of the Site constitutes your agreement to follow and be bound by the Agreement. We reserve the right to update or modify this Agreement at any time without prior notice. Accessing, browsing or otherwise using the site indicates your agreement to all the terms and conditions of this Agreement. Please read carefully before proceeding to use the Site. If you do not agree to these terms, please do not use the Site. By uploading User Content and posting User Content that you have hash tagged with #kenkoway, #kenkohealth hashtags, you agree to the following: You grant to Kenkoway, and its affiliates, retail partners and/or related entities a non-exclusive, fully paid and royalty-free, transferable, sub-licensable, worldwide license to use, reproduce, distribute, prepare derivative works of, and display your photo(s) and/or video(s) that you submit, upload, post or otherwise provide or make available to Kenkoway, or its vendors, on or through the website, in its marketing and/or in its advertising, including your User Content that is on third party companies’ websites, for example Instagram, Twitter, Facebook, Pinterest and YouTube, that is associated with hashtags related to Kenkoway. Kenkoway and its affiliates, retail partners and/or related entities, may use, reproduce, distribute, combine with other materials, alter and/or edit your photos in any manner in its sole discretion, with no obligation to you whatsoever. You hereby represent and warrant that (i) you own all rights in or to your photos, or have the right to grant Kenkoway rights and licenses to the photos, (ii) you have permission from any person(s) appearing in your photos to grant the rights herein; (iii) you are not a minor, and (iv) Kenkoway’s use of your Instagram handle and/or photos will not violate the rights of any third party or any law. You hereby release, discharge and agree to hold Kenkoway and any person acting on Kenkoway”s behalf harmless from any liability related in any way to Kenkoway’s use of your social media handle, your photo(s) and/or video(s). • Email us directly if you would like to share feedback about pricing, ordering, delivery or other customer service issues. Kenkoway provides the Sites and all other applications and services on the Sites as a forum only. Kenkoway is not liable for any statements, representations, or Content provided by its users in any public forum on the Sites or any Third Party Site, including without limitation through the Interactive Services. Any Content, if displayed, is displayed for entertainment and informational purposes only. More generally, Content posted via or on the Sites or any Third Party Site, including through the Interactive Services, is not controlled by Kenkoway. Kenkoway cannot guarantee the accuracy, integrity or quality of such Content. You understand that by using the Site, you may be exposed to Content that may be offensive, indecent or objectionable and Kenkoway shall not be liable for any such Content and that the risk of harm or damage from the foregoing rests entirely with you. Under no circumstances will Kenkoway be liable in any way for any Content, including, but not limited to, for (i) any errors or omissions in any Content; or (ii) any loss or damage (including, without limitation, personal injury or property damage) of any kind incurred as a result of the use of any Content posted, emailed or otherwise transmitted via or to the Sites. You understand and accept that all information, data, text, software, music, sound, photographs, graphics, or other material appearing on this Site (collectively “Content”) are owned by Kenkoway.com or its licensors. You are expressly prohibited from using any Content without the express written consent of Kenkoway.com or its licensors. Except as otherwise stated herein, none of the material may be reproduced, distributed, republishes, downloaded, displayed, posted, transmitted, or copied in any form or by any means, without the prior written permission of Kenkoway.com. Any unauthorized use of any material contained on this Site may violate domestic and/or international copyright laws, the laws of privacy and publicity, and communications regulations and statutes. When you visit Kenkoway.com or send e-mails to us, you are communicating with us electronically. You consent to receive communications from us electronically. We will communicate with you by e-mail or by posting notices on this site. You agree that all agreements, notices, disclosures and other communications that we provide to you electronically satisfy any legal requirement that such communications be in writing. Kenkoway, Kenkoway.com, and other Kenkoway graphics, logos, page headers, button icons, scripts, and service names are trademarks, registered trademarks in Singapore and/or other countries.Kenkoway trademarks and subsidiary Brand’s may not be used in connection with any product or service in kenkoway.com, in any manner that is likely to cause confusion among customers, or in any manner that disparages or . All other trademarks not owned by kenkoway that appear on this site are the property of their respective owners, who may or may not be affiliated with, connected to, or sponsored by Kenkoway Stores. We have made every effort to display, as accurately as possible, the colors of our products that appear on the Site. However, the actual colors you see will depend on your monitor; we cannot guarantee that your monitor’s display of any color will be accurate. All items purchased from Kenkoway.com are made pursuant to a shipment contract. This means that the rise of loss and title for such items pass to you upon our delivery to the carrier. Kenkoway.com attempts to be as accurate as possible. 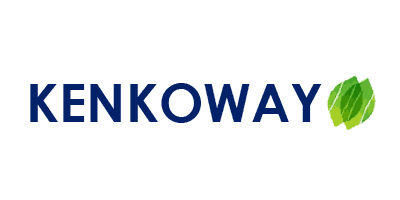 However, Kenkoway.com does not warrant that product descriptions or other content of this Site are accurate, complete, reliable, current, or error-free. If a product offered by Kenkoway.com itself is not as described, your sole remedy is to return it in unused condition. This site and all information, content, materials, products (including software) and services included on or otherwise made available to you through this site are provided by kenkoway.com on an “as is” and “as available” basis, unless otherwise specified in writing. kenkoway.com makes no representations or warranties of any kind, express or implied, as to the operation of this site or the information, content, materials, products (including software) or services included on or otherwise made available to you through this site, unless otherwise specified in writing. You expressly agree that your use of this site is at your sole risk. To the full extent permissible by applicable law, kenkoway.com disclaims all warranties, express or implied, including, but not limited to, implied warranties of merchantability and fitness for a particular purpose. kenkoway.com does not warrant that this site; information, content, materials, products (including software) or services included on or otherwise made available to you through this site; their servers; or e-mail sent from kenkoway.Com are free of viruses or other harmful components. kenkoway.Com will not be liable for any damages of any kind arising from the use of this site or from any information, content, materials, products (including software) or services included on or otherwise made available to you through this site, including, but not limited to direct, indirect, incidental, punitive, and consequential damages, unless otherwise specified in writing. This Agreement is effective unless and until terminated by either you or Kenkoway.com. You may terminate this Agreement at any time. Kenkoway.com may also terminate this Agreement at any time and may do so immediately without notice, and accordingly, deny you access to the Site, if in Kenkoway.com sole discretion you fail to comply with any term or provision of this Agreement. Upon any termination of this Agreement by either you or kenkoway.com, you must promptly destroy all materials, downloaded or otherwise, obtained from this Site, as well as copies of such materials, whether made under the terms of this Agreement or otherwise.